Billy Joel once said we didn’t start the fire, it was always burning since the world’s been turning, which is fair, but the fact remains the world feels like it’s on fire. Which brings me to the topic du jour – the Age of Aquarius. 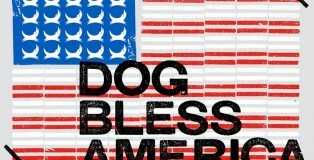 Did you imbibe a little too much on National American Beer Day? Are you repressing your Halloween memories? Were your International Stout Day celebrations a bit too raucous? We’ve got you covered. 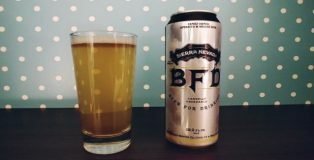 Every fun social media moment that the craft beer world could conjure is right here in our handy little list. This is The Weekly Buzz. Did any of you know that parents of a kindergartner must endure no less than four events at the school? Four. That is all before school starts. There are meet-and-greets with teachers, self-guided tours and practice school bus rides. The real kicker is that none of these events serves beer. I’m running for PTA to undo this travesty. 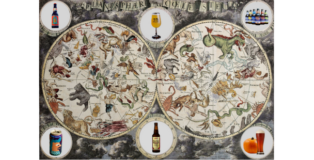 In the meantime, here are a bunch of beer things that I found on Twitter and Instagram. 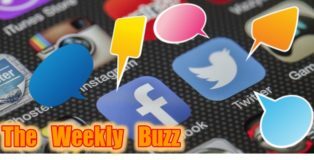 This is The Weekly Buzz. 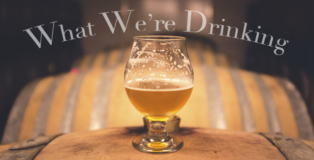 It’s officially summertime and that means we’re drinking all sorts of… well hell, we’re still drinking everything! We love well-made lagers, fruity wheats and sours, and the occasional high-octane IPA. Give us all the beers! The holiday weekend may be upon us, but that didn’t slow us down this week. This is What We’re Drinking. 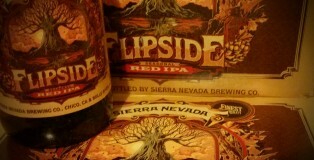 IPAs, stouts and sours… oh my! The weather may be heating up, but our brews are nice and cold. Check out what our team got into this week. This is What We’re Drinking. 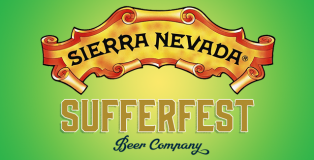 On Saturday, April 1, Sierra Nevada and the North Carolina Craft Brewers Guild are giving us the opportunity to enjoy a variety of beers from around the country as well as food trucks and live music at the Burly Beer Fest. 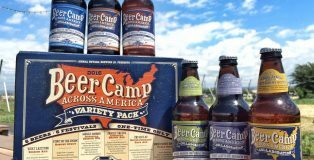 April in the Appalachians means its time to break out your burliest, heartiest, most lumberjack-worthy beers and enjoy them before the heat of summer. 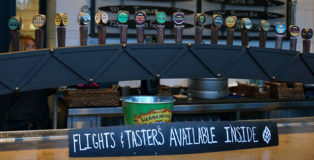 So grab your flannel and check out what all is expected to fill your taster glasses. 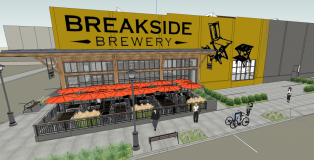 Dogfish Head makes the hoppiest beer of all time, Breakside Brewery is opening a new location, and Pretty Things Beer and Ale Project is coming to an end. On top of that, I’ve got a list of winter beer releases so you can warm up appropriately in the upcoming weeks. Read on to get the details of these stories and more in this edition of the Weekly Growler Fill. Stories we’re focused on this week: multiple beer releases and lots of good things happening in Ohio. If you’re an Ohioan or just want to stay up to date on the latest craft beer news, click read more to get all of the details in this edition of the Weekly Growler Fill. 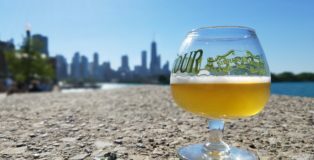 In this edition of the Weekly Growler Fill, you will find all kinds of craft beer news related to laws, litigation and branding. 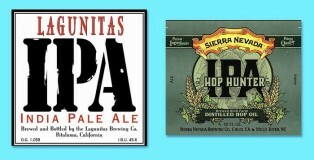 To give you a taste of what’s happening: Great Lakes Brewing Company debuted their new brand while Lagunitas almost sued Sierra Nevada over one of theirs. 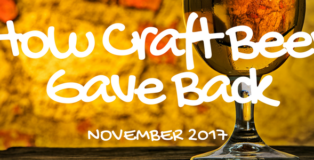 Both West Virginia and Indiana may have favorable new laws for craft brewers in the near future and Deschutes donated a ton of money to charity this year with plans for more in 2015. Read on to get more details about these stories of the craft beer world. Happy Thanksgiving week! 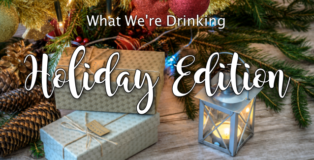 In between surfing the internet for videos of turkeys blowing up and finding the perfect pie recipe (I’ve got you covered here), take a break and catch up on the latest craft beer news. 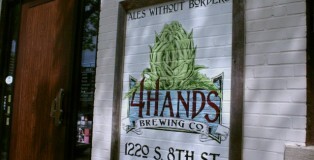 This week brings new beers, more cans, and ways to drink for a good cause. Keep scrolling and I’ll show you what you should be sipping on in this edition of the Weekly Growler Fill. This past winter was a long one but thanks to the never ending options for stouts, porters and other dark delicious brews, I survived just fine. In fact, it could be said I went a bit overboard. Peanut butter milk stout? Check. Smoked vanilla porter? Check. Why drink a regular dark beer when you can add all sorts of fun ingredients to see what tastes come together? Frankly, I could not imagine not drinking the deep dark beers I’d come to love over this past winter, all year long. 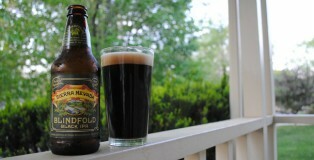 Enter Blindfold Black IPA.